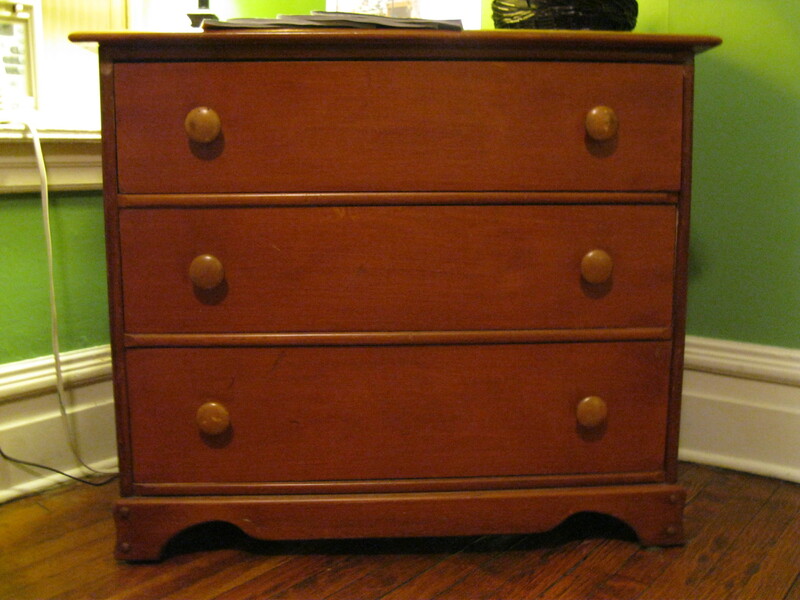 Due to unforeseen circumstances, I was able to get the dresser finished this weekend. An unexpected car hiccup resulted in me postponing a trip to visit family in Wisconsin and instead left me with a full weekend of time. I got right to work Saturday morning rockin’ my paint clothes and cloth mask. Dave commented the mask was a good look for me and that I should maybe look into dentistry as an alternate job. It’s good to know I still have options should I start thinking about a new career. After sanding I used a dry cloth to remove any access dust. 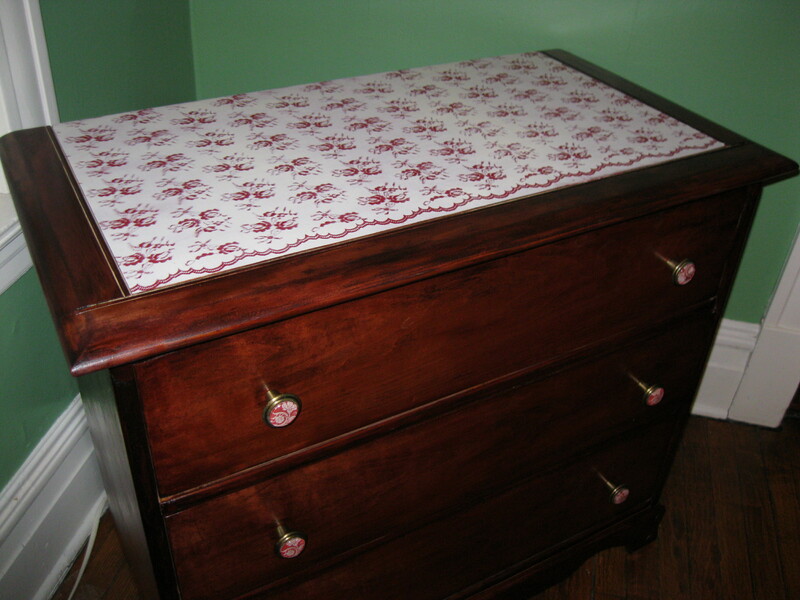 Next I taped off the top of the dresser to make sure that I wouldn’t accidently paint or spray paint any of the wood borders. Once that was completed, I moved on to staining and painting. Three coats of stain and seven coats of red paint later, I was ready to spray paint! Using a spray adhesive, I lightly sprayed the top of the dresser. Then I placed the lace on top and patted it down to make sure it was secure. Once I was happy that no sudden gust of wind would move the lace, I got to spray painting. Gently, I removed the lace a few minutes after spray painting and was pretty content with the results. I waited about thirty minutes before I removed the painter’s tape to examine if my corners were dead on – which they were! Plus, I still had to stain the remaining unpainted border on the top. Another three coats later and a final coat of clear semi-gloss to polish off the piece, I’m ready to call it finished. Here is the outcome. What do you think?